The #2 with a log train somewhere on the Ash Creek Line. 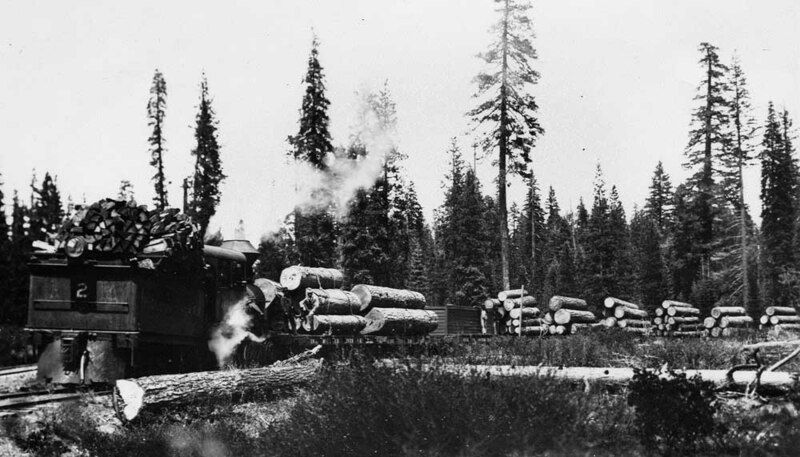 This is one of only two known photos of the #2 in service on the McCloud River. Photo courtesy of the Heritage Junction Museum of McCloud, Inc.
An ad from the June 1899 American Lumberman featuring the #2. From the Glen Comstock collection. This photo is another ad, this one from the 22 Aug 03 American Lumberman. Add features the same picture as the earlier add. From the Glen Comstock collection. 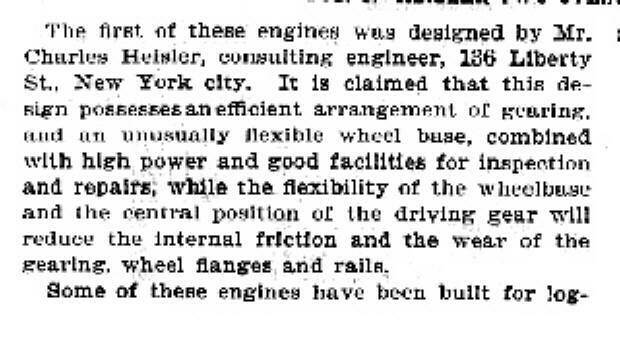 Below is some text in the 9 December 1897 Engineering News about the Heisler locomotive. This article does raise a question…there is no question that the #2 was built new for the McCloud River, but the #3 is generally credited as having been built for the Blakely Railroad a year or two before the McCloud River came into existence. 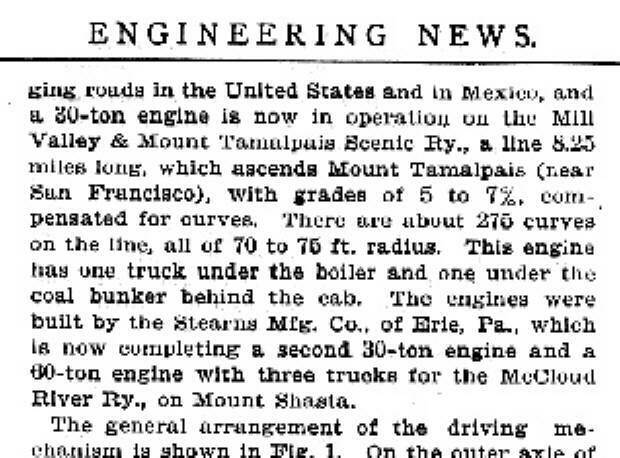 However, this article seems to indicate two Heislers been built for the McCloud… From the Glen Comstock collection.